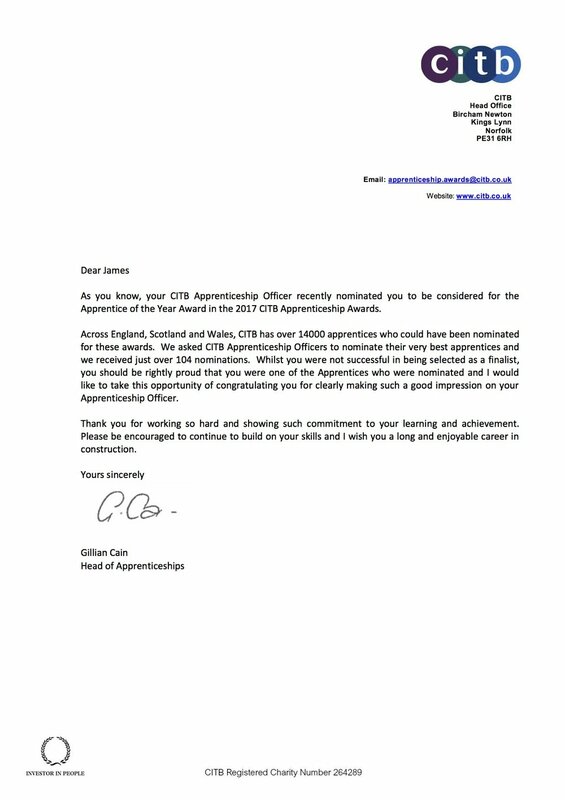 Thank you to all our Client and Supply teams for another great year. 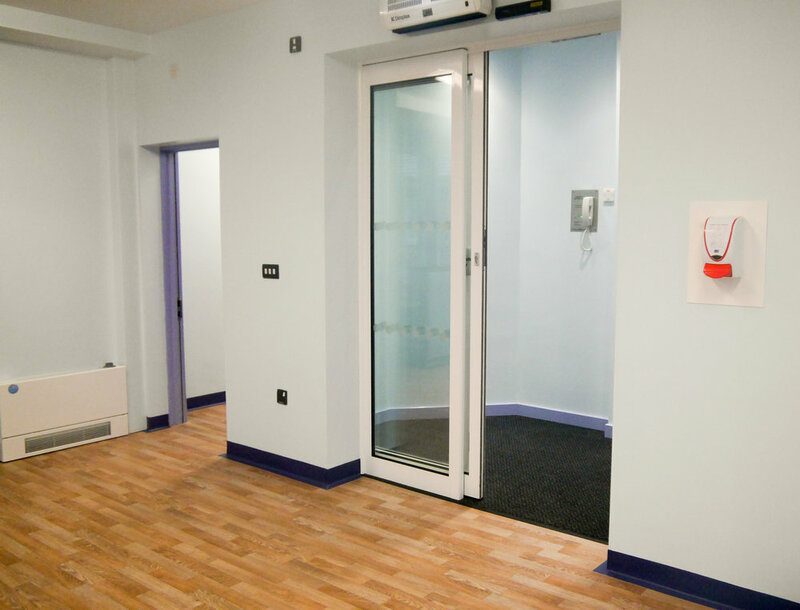 This year we are donating Children’s gifts to the Wave 105 Christmas appeal instead of sending Christmas cards. 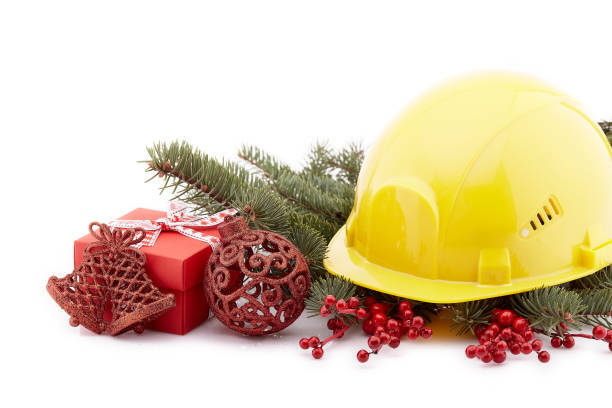 Have a great Festive break and New Year and we look forward to working with you all again in 2019. 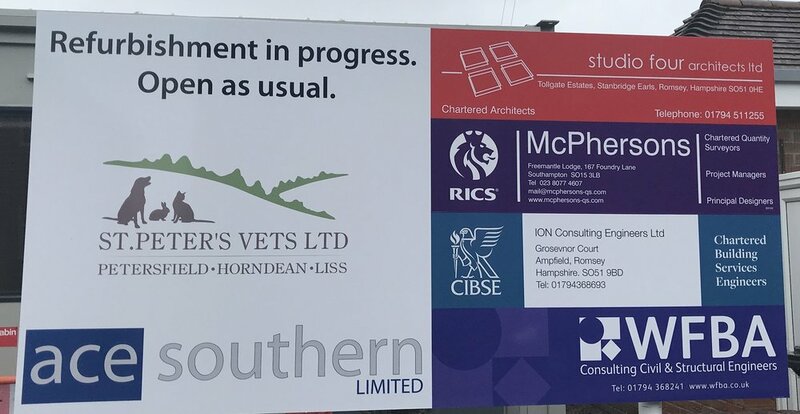 Works are progressing well at St. Peter’s Vets, Petersfield. 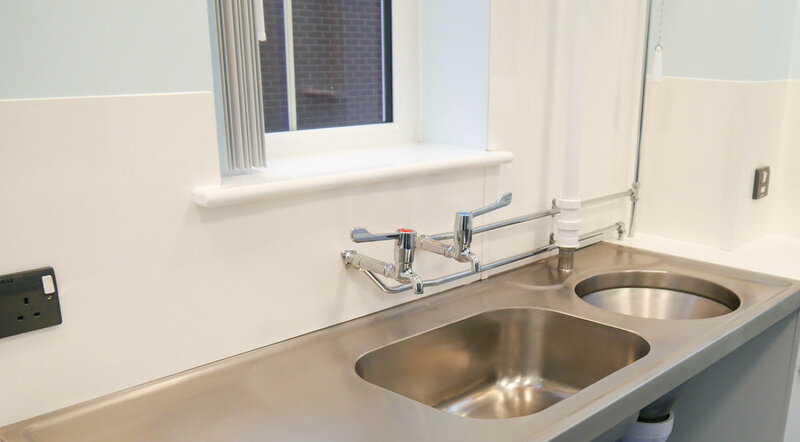 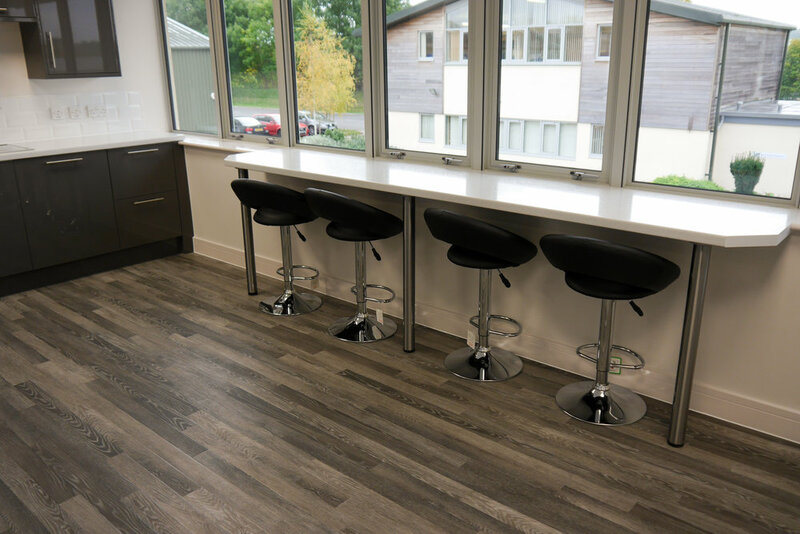 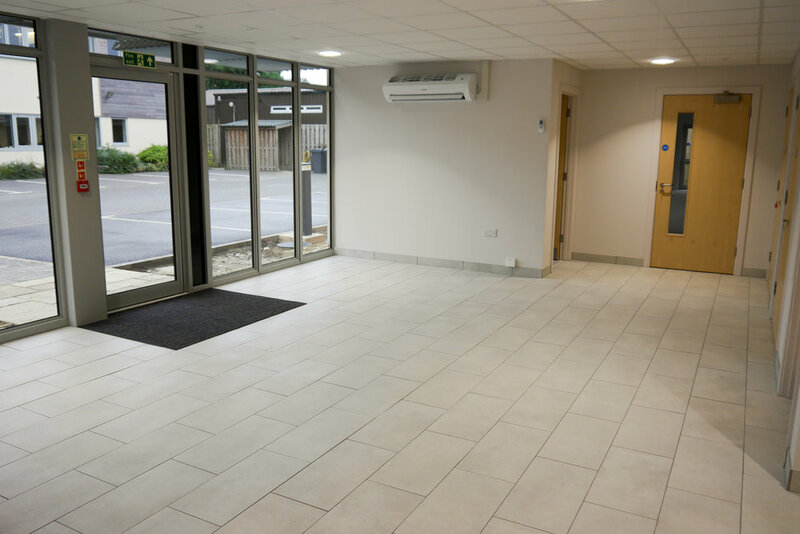 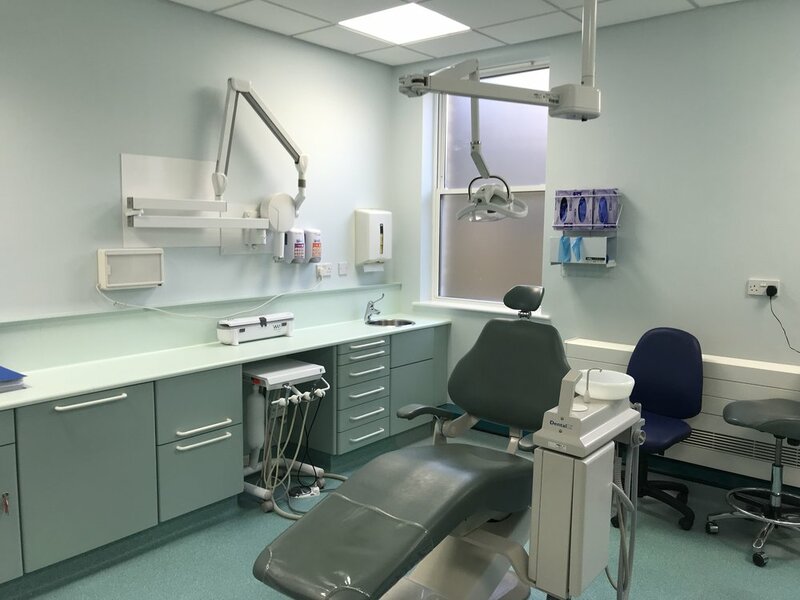 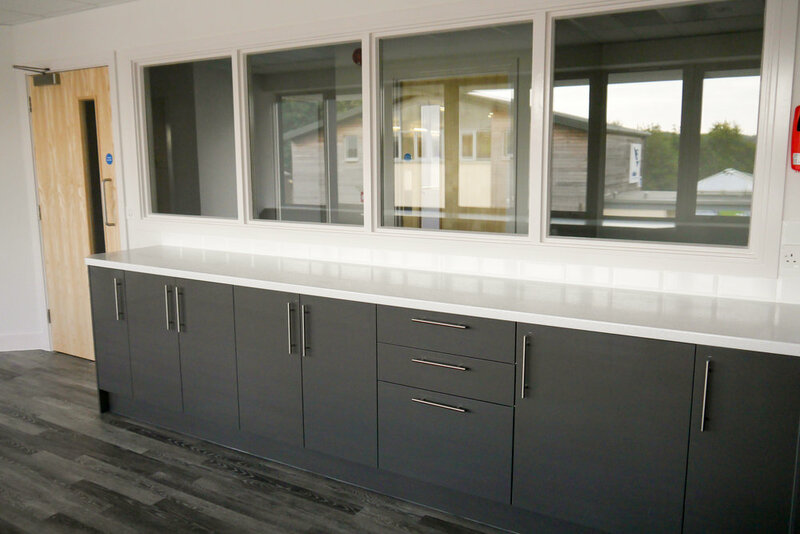 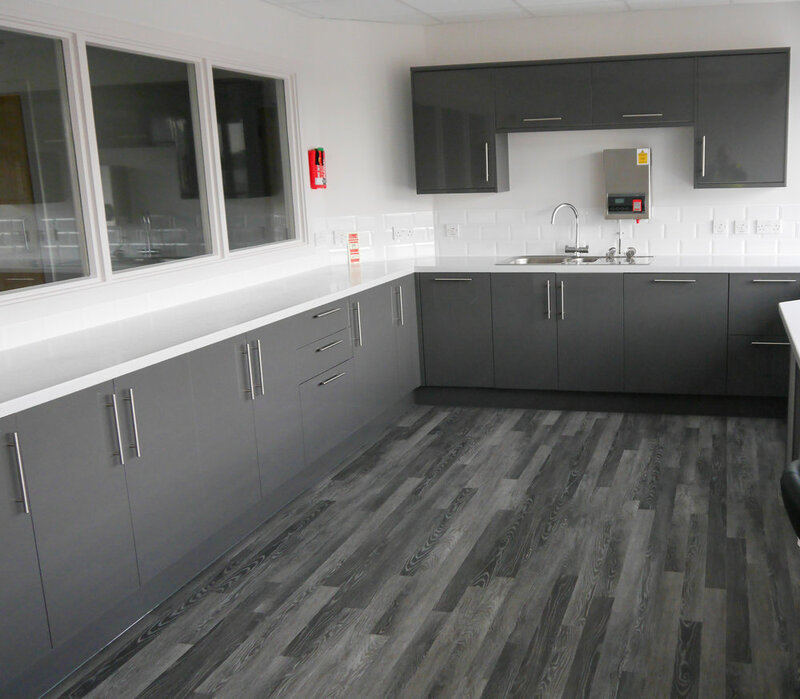 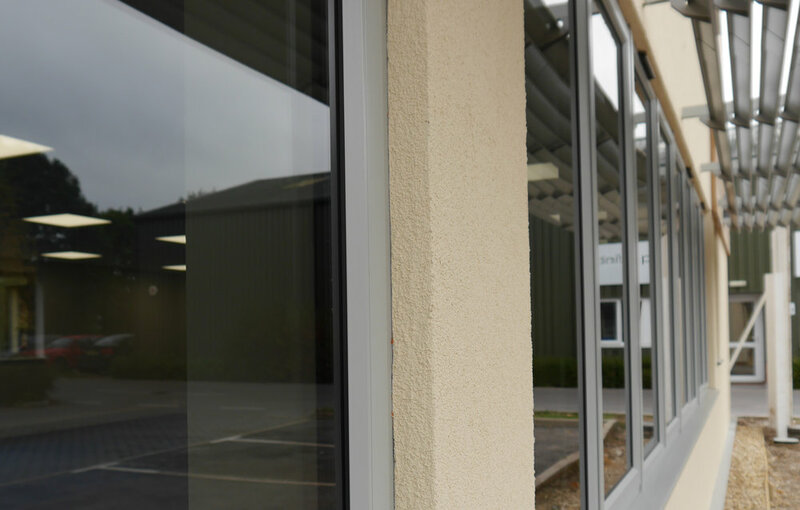 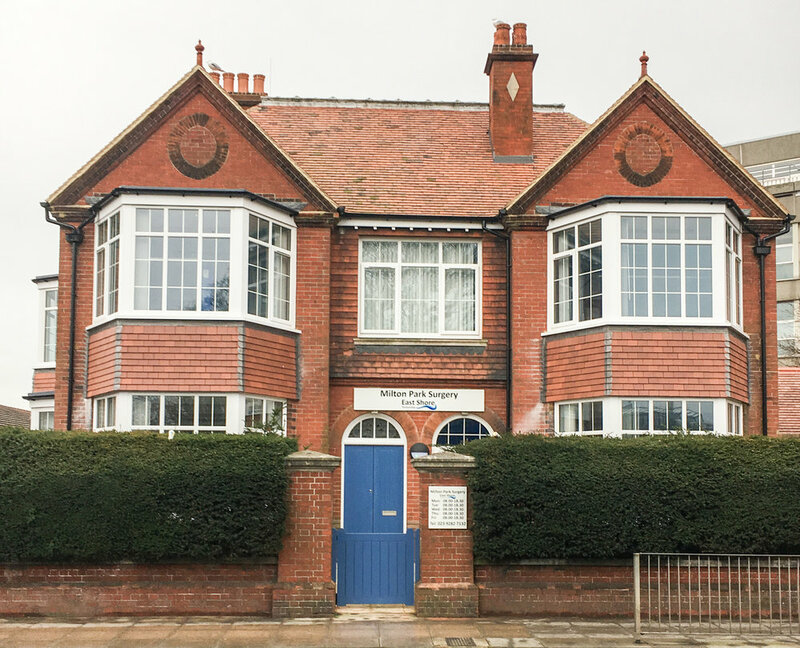 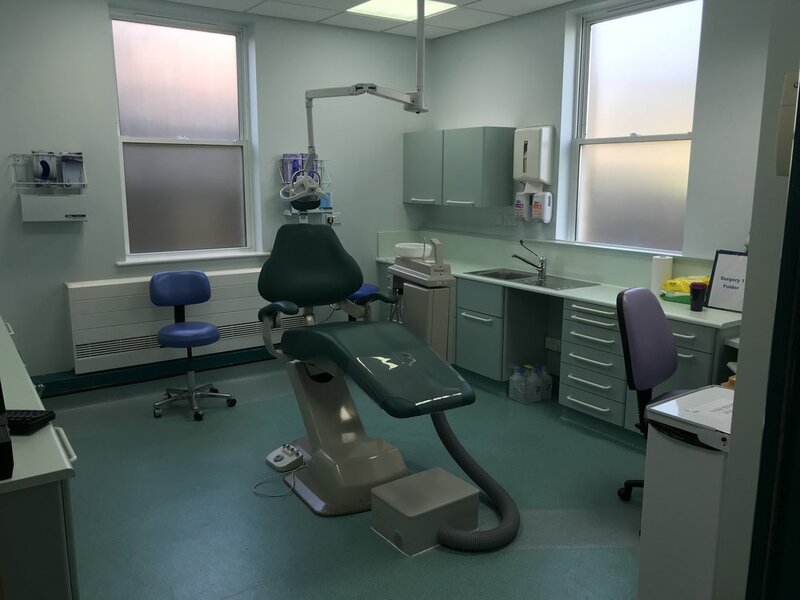 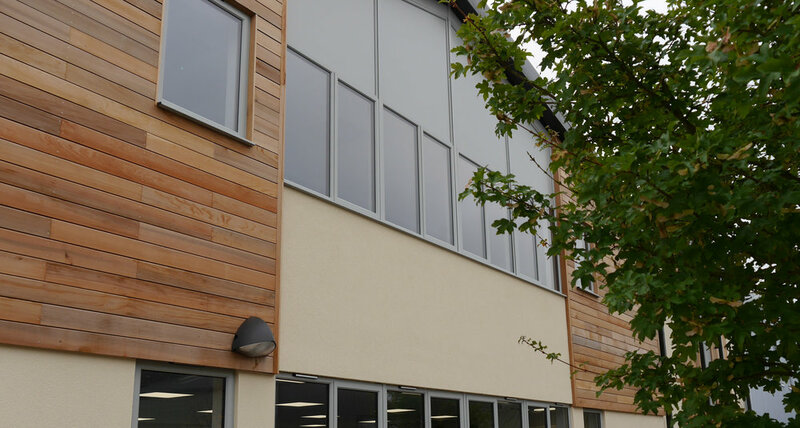 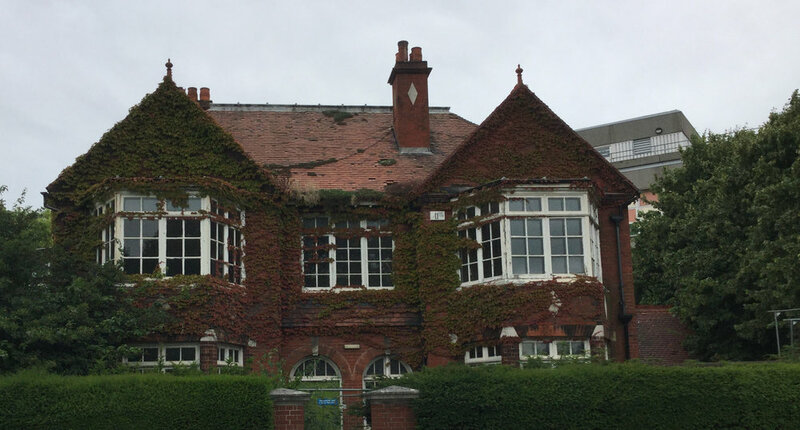 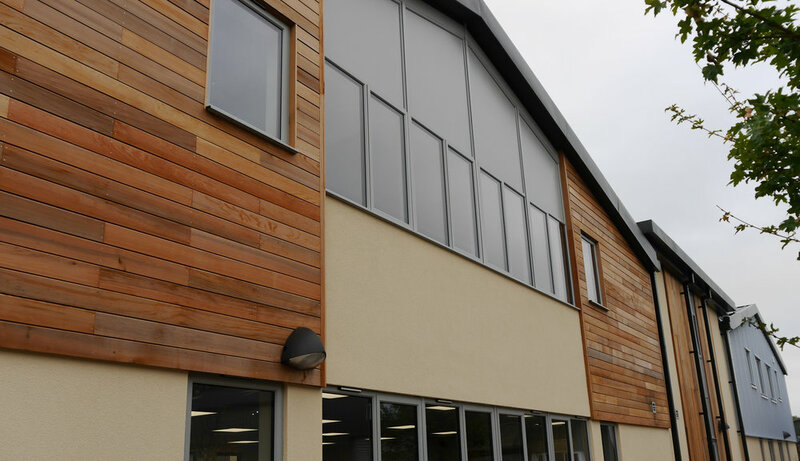 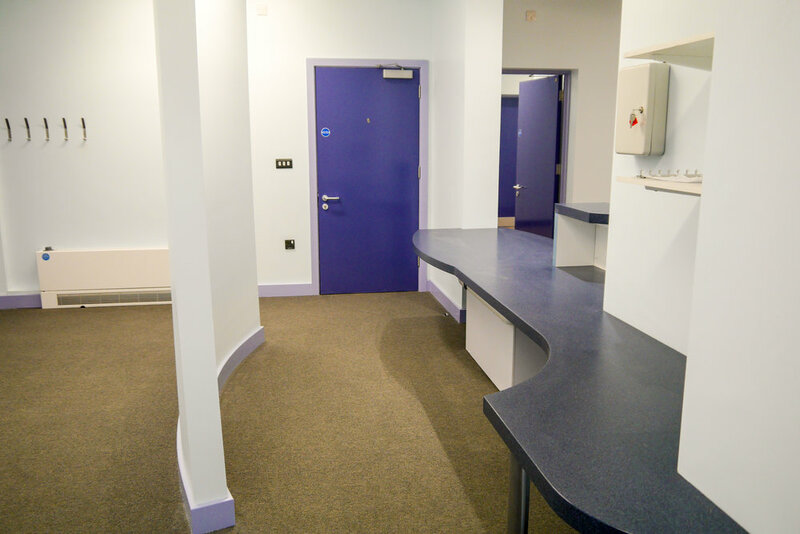 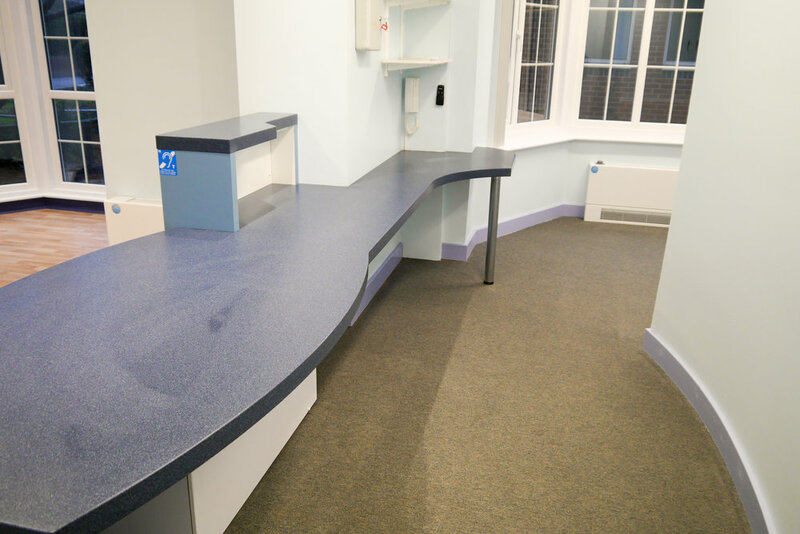 The extension and complete refurbishment of the veterinary surgery is being undertaken over several phases to enable the service to operate throughout the works. 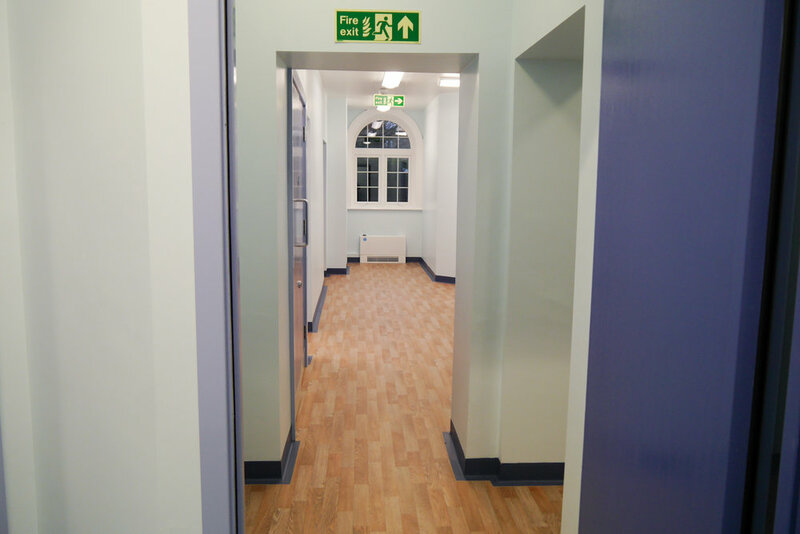 The third extension is currently being constructed, and new cat kennels and laundry are already back in service. 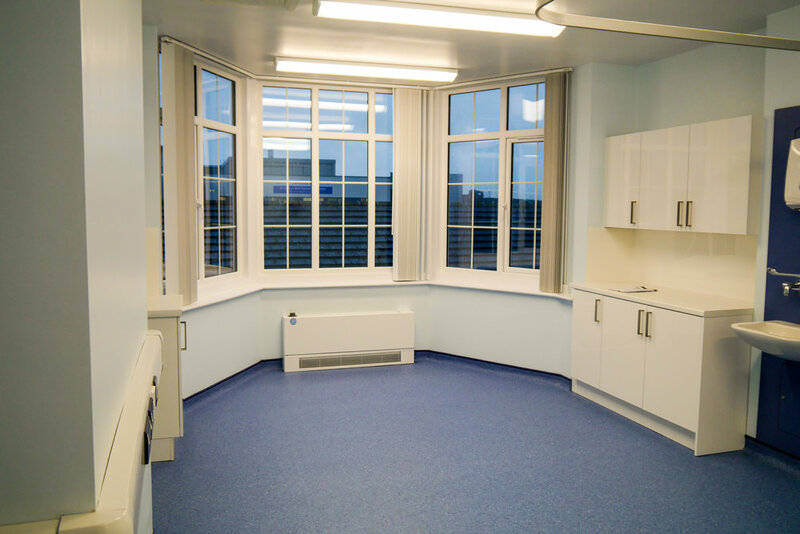 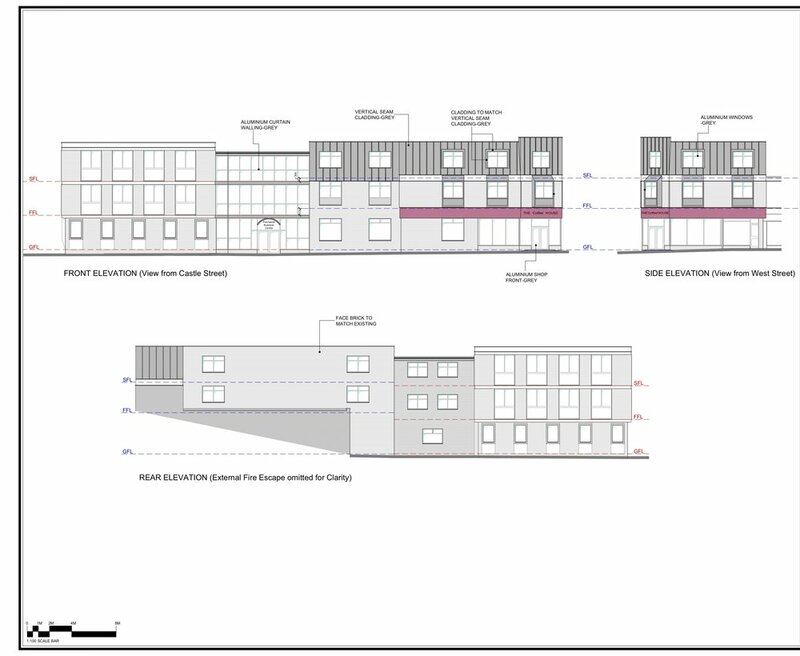 The works will complete in Spring 2019, with the final phase seeing the theatres, x-ray, endoscopy and prep rooms being completely reformed. 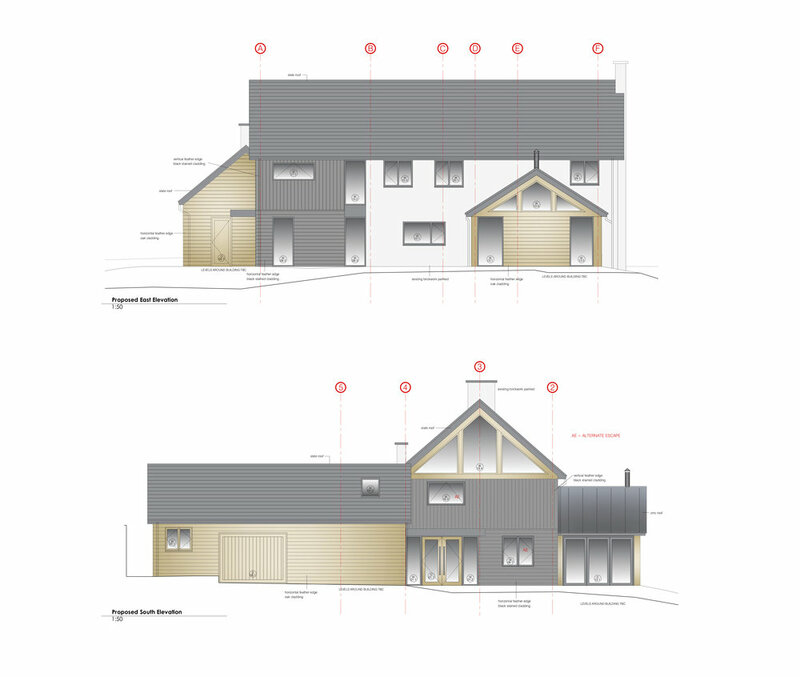 Works began onsite in Kings Worthy to demolish an existing bungalow. 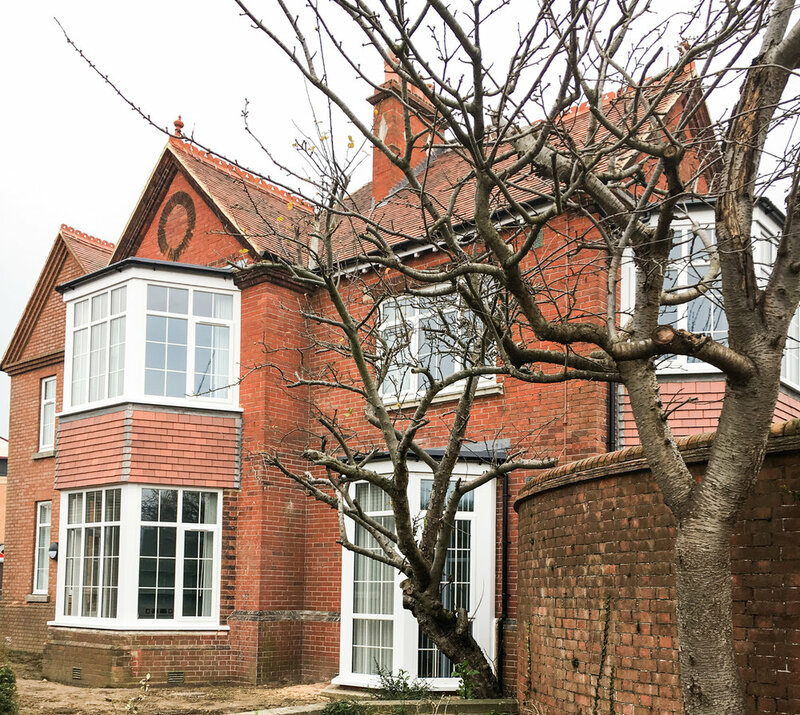 This was to be replaced with 3 newbuild townhouses comprising Lounge, Kitchen/Family Room, WC, Bathroom, 2 Bedrooms, Study, Master Bedroom and Ensuite complete with new driveway and external landscaping. 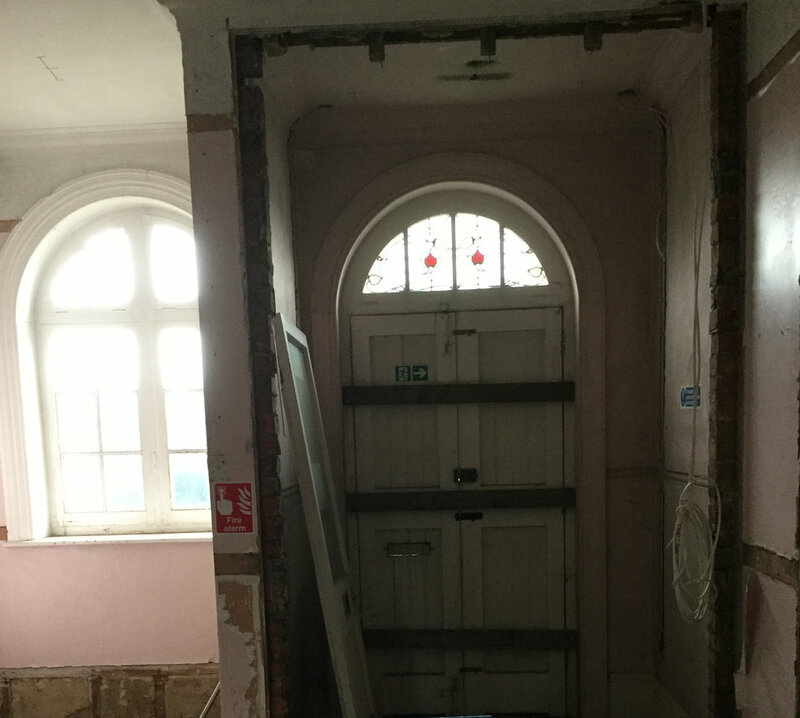 Once demolition was complete works progressed to form new foundations, brick and block, roof structure and slates. 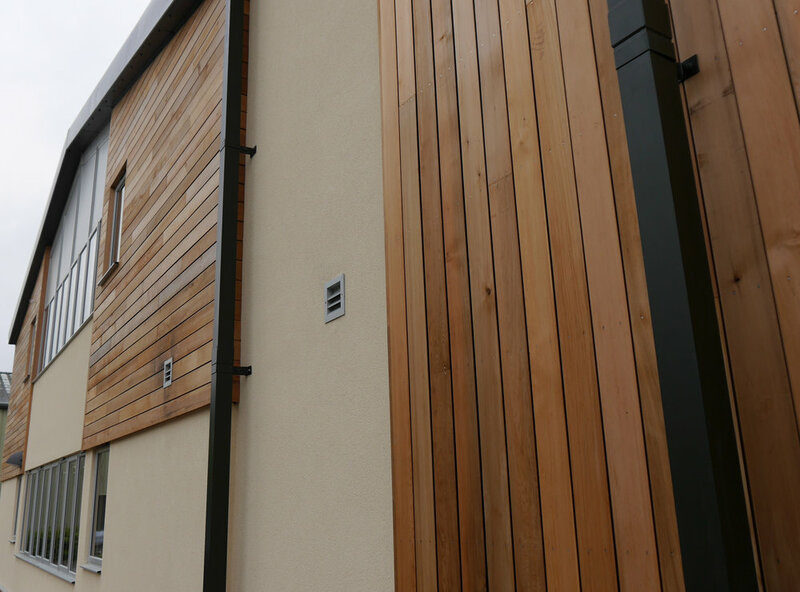 Final finishes began including tiling, final decorations, flooring, landscaping, paving, cedar cladding. 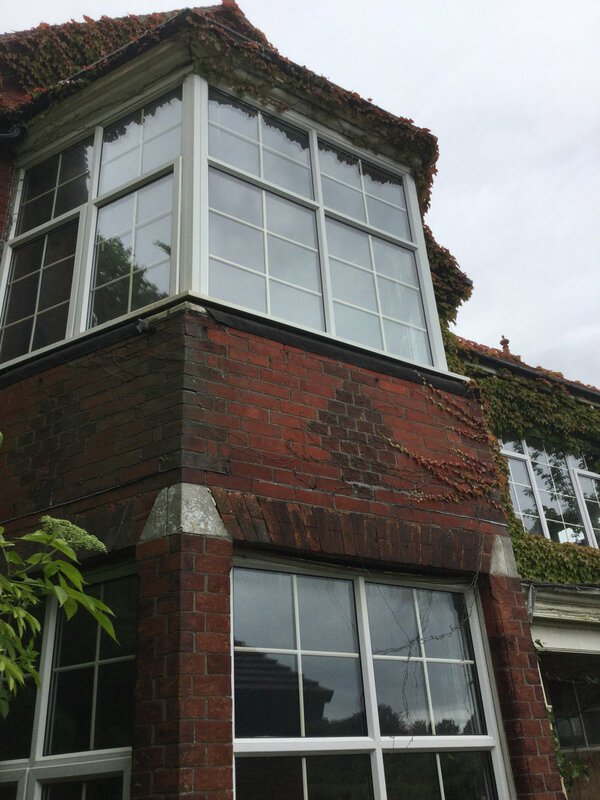 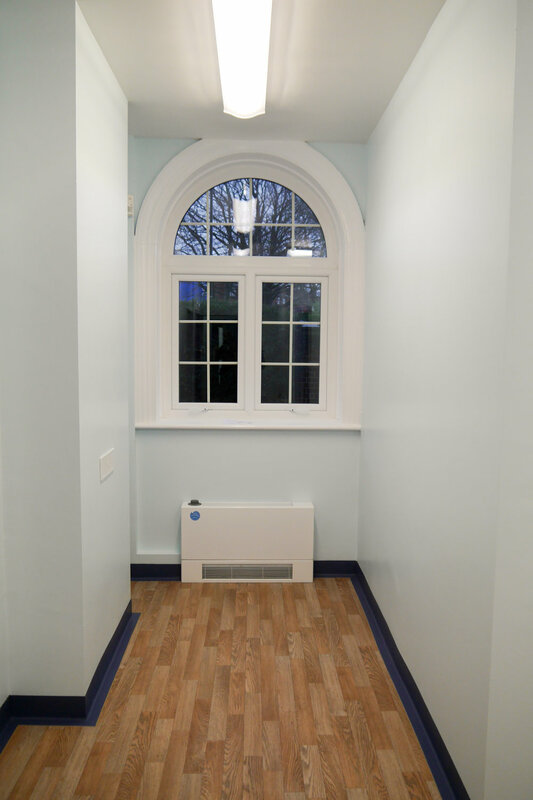 To meet planning conditions a wood burning stove system was installed that provides heating to a specified zone of the houses and when in operation all water is also heated via the stove. 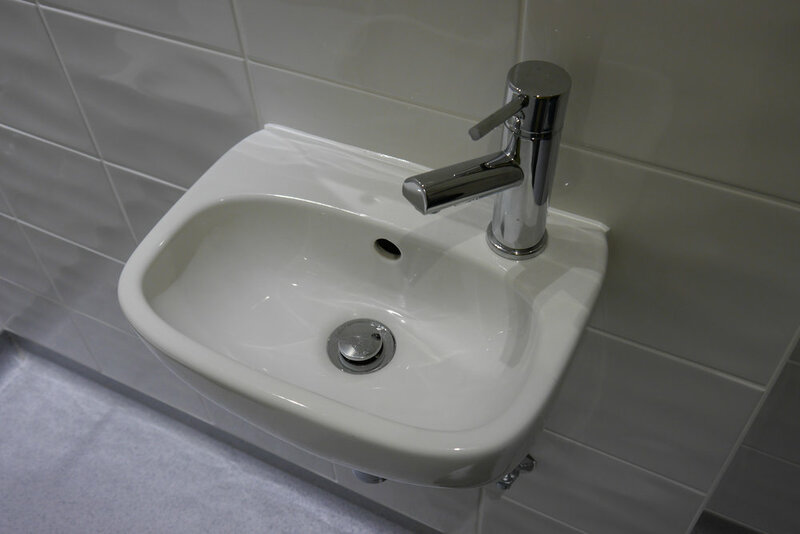 SAP calcs were achieved based on this system. 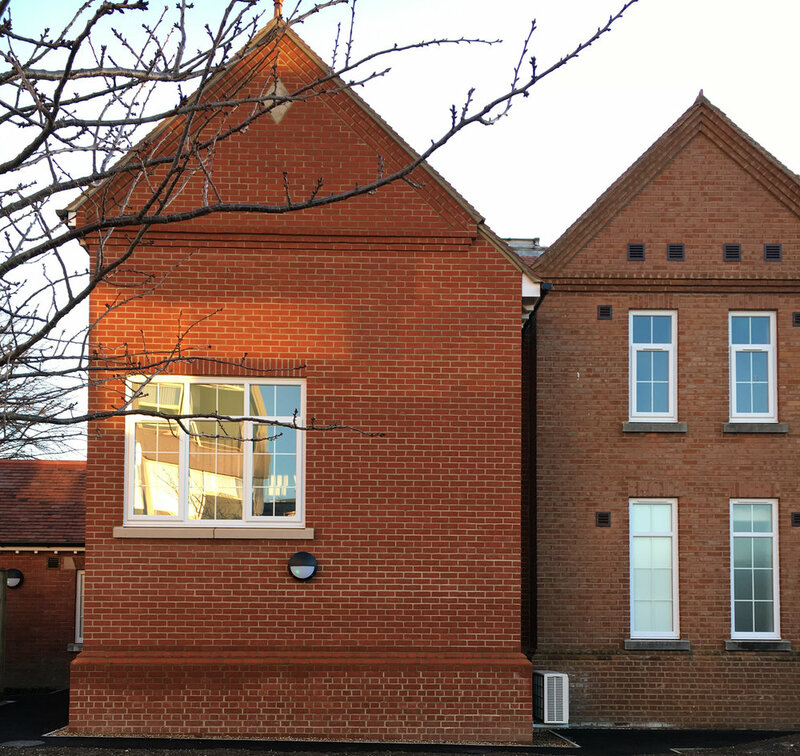 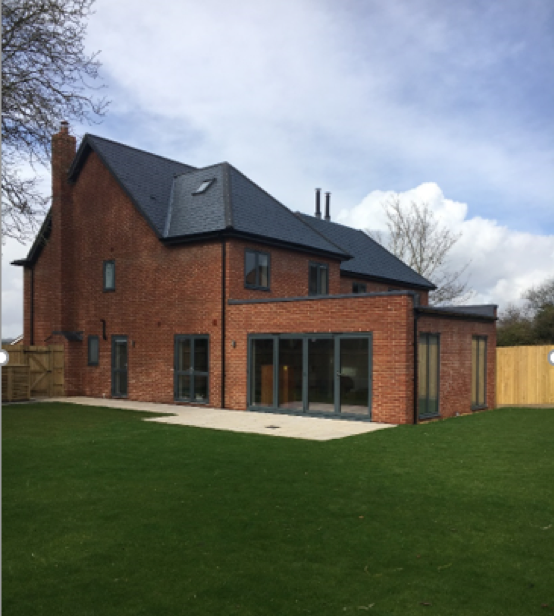 The external materials colour palette was chosen to compliment each other, grey aluminium window frames corresponded with roof slates. 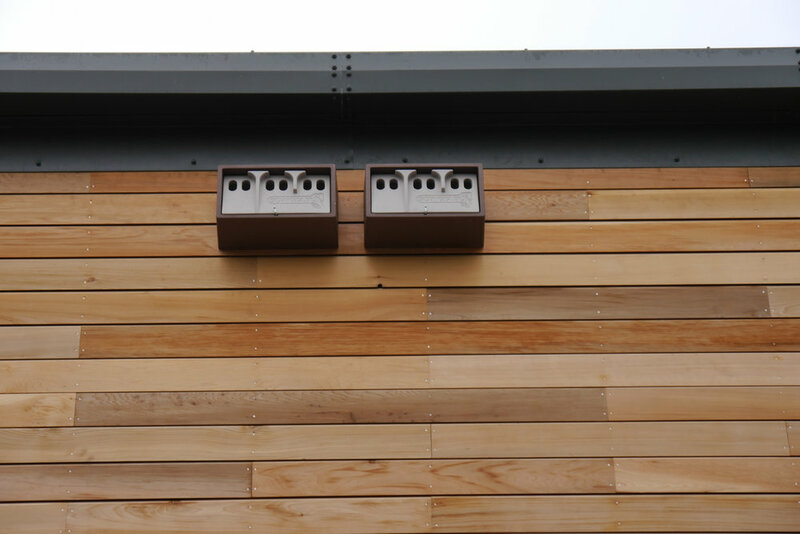 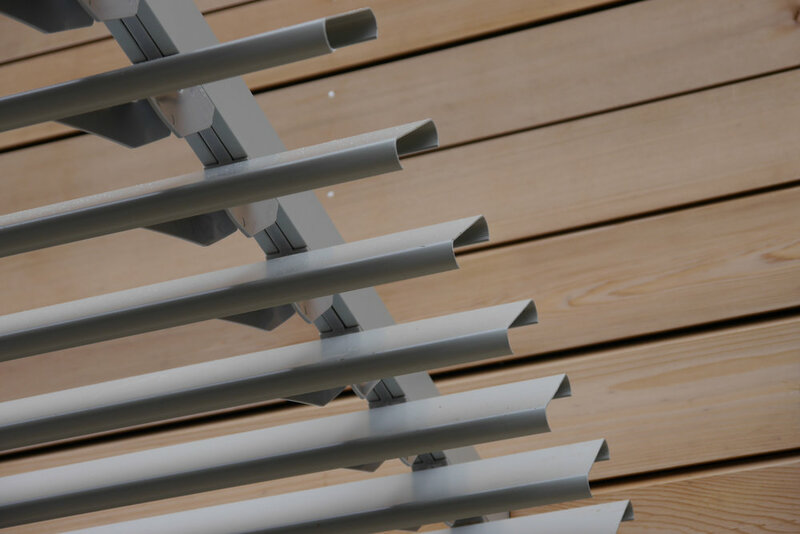 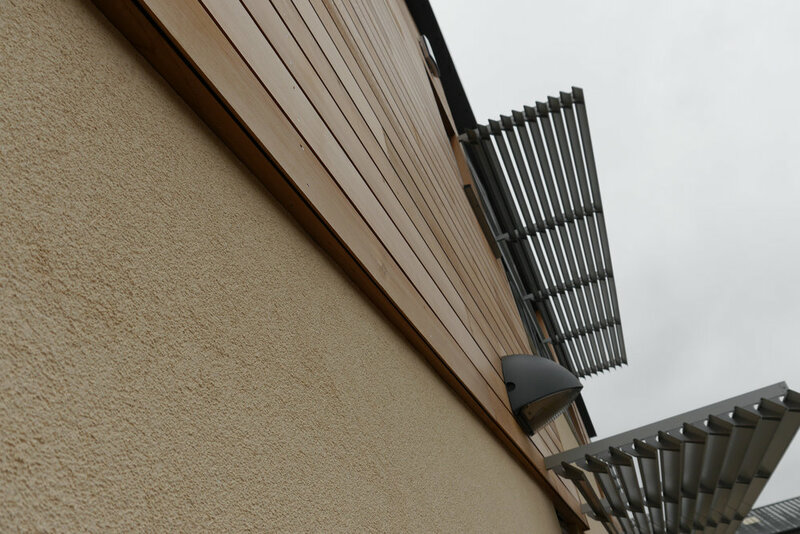 The soffits and fascias were pre-finished in a dark grey wood effect coating, allowing for low maintenance. 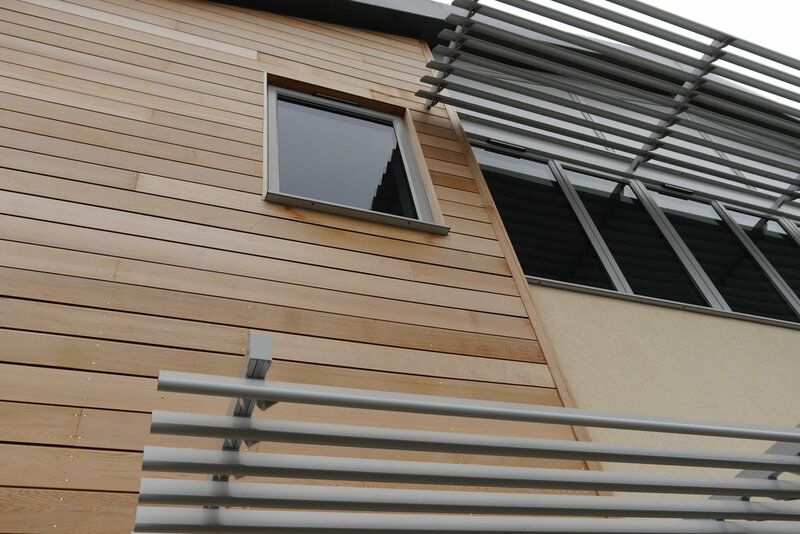 Zinc cladding was added to the porch detail to also link in with the designed colour scheme. 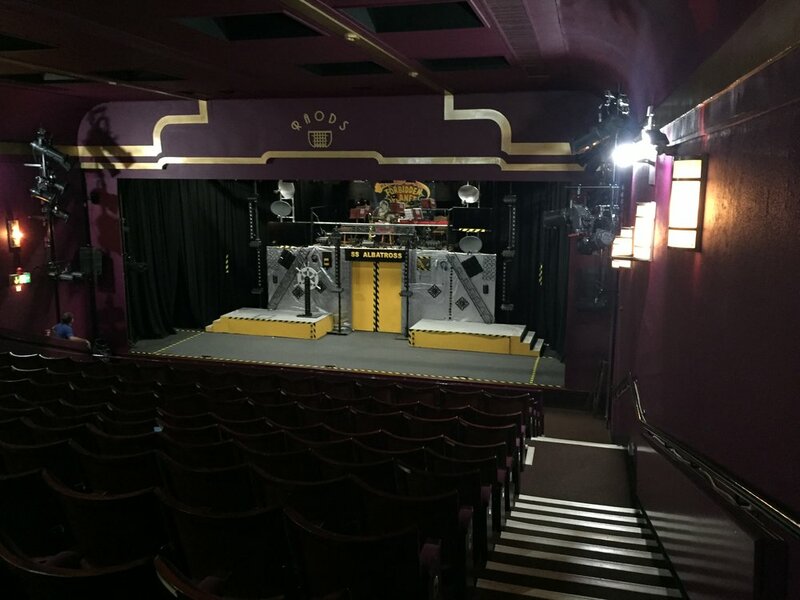 The Plaza Theatre, Romsey, will be re-opening its doors this month following a range of refurbishment works delivered by Ace Southern and local Architects, Studio Four. 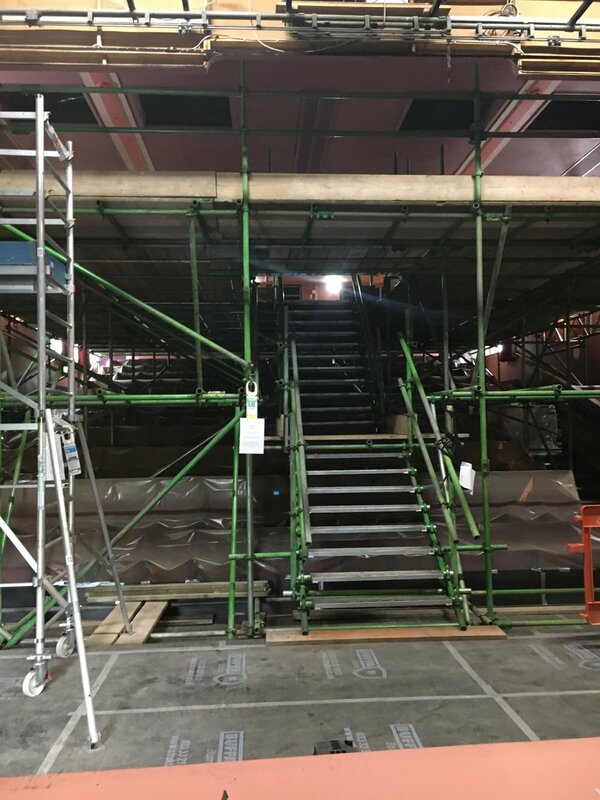 The main auditorium has been completely redecorated, with a complex scaffold solution facilitating the ceiling decoration. 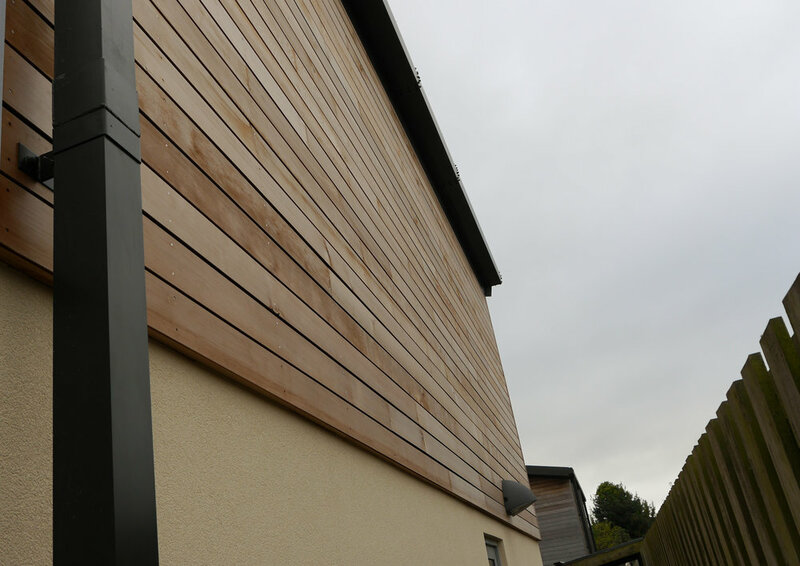 The main roof gutters have been relined to address longstanding water ingress issues and works to the rear of the theatre will enable large sets and props to be loaded to the stage floor area for future productions. 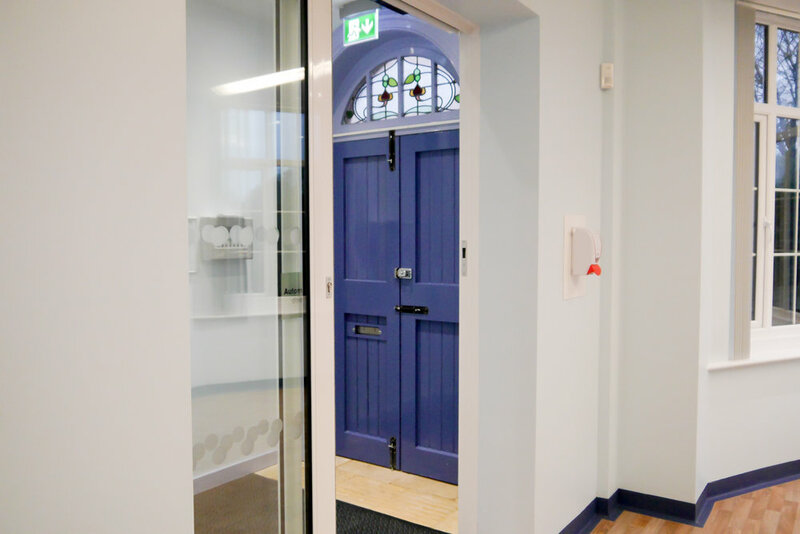 The original front doors have been extensively refurbished. 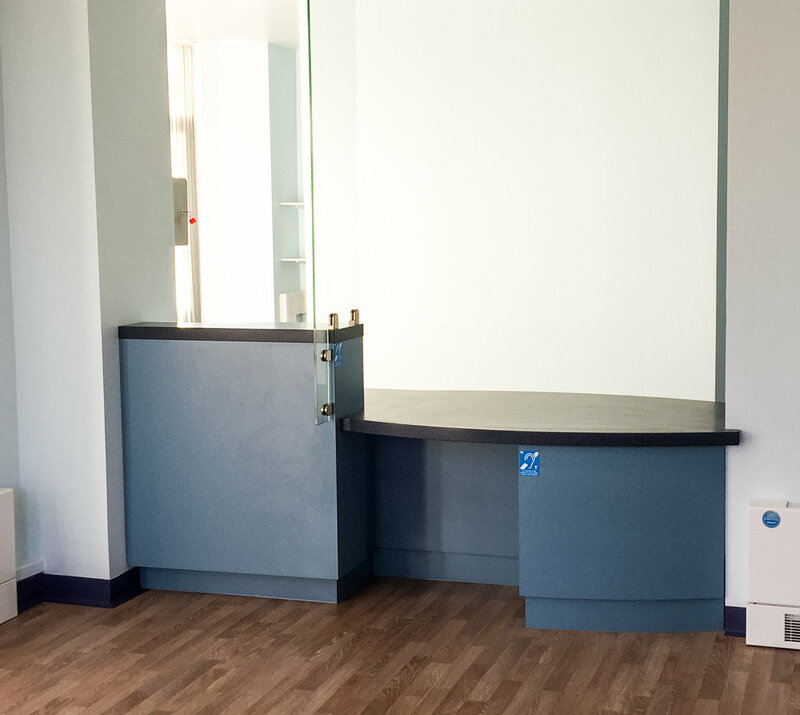 The Plaza Theatre website (click link) has more details of these works and upcoming projects at the theatre. 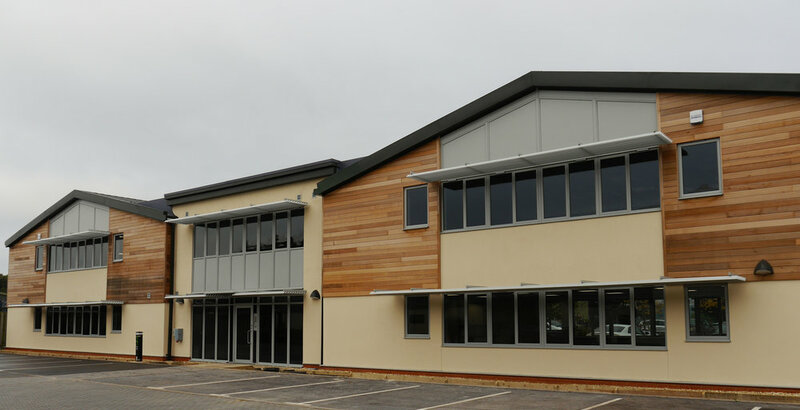 The RAODS Charity would welcome your support with upcoming performances, more details can be found here. 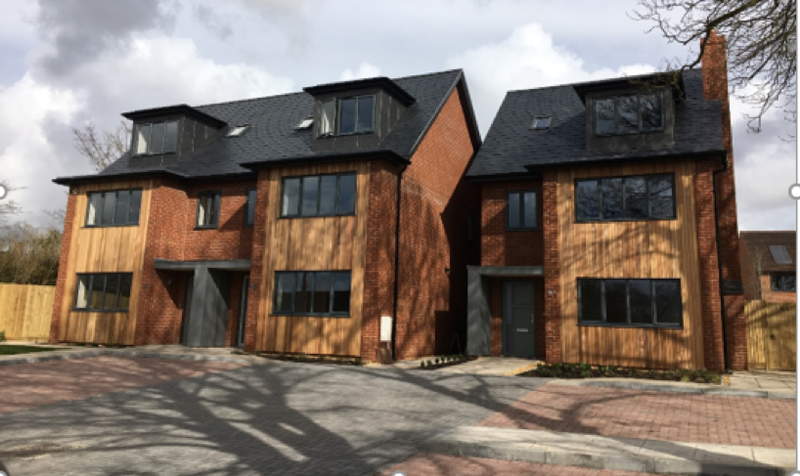 Ace deliver first seven luxury apartments in central Winchester following the complete refurbishment of 2 Georgian Townhouses. 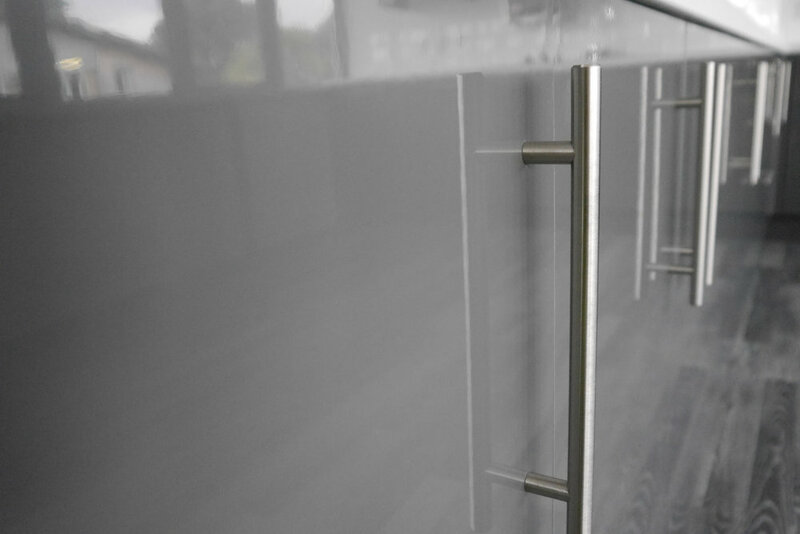 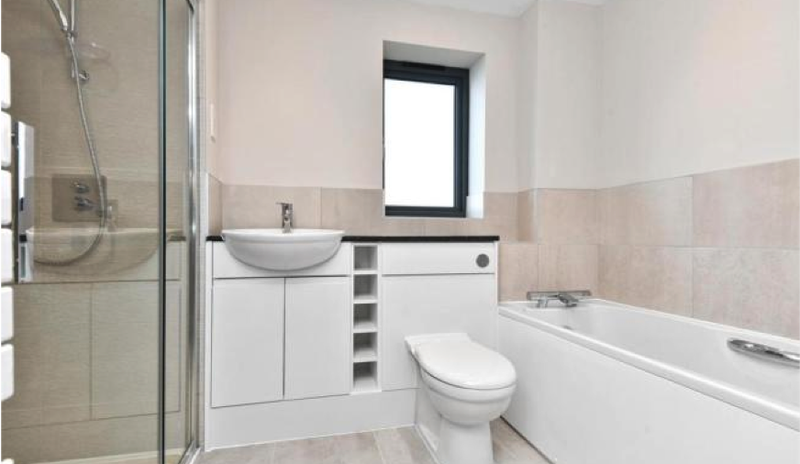 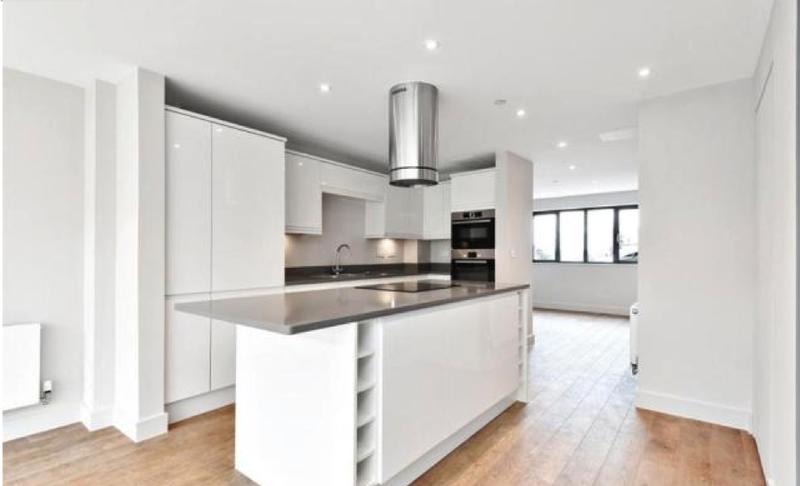 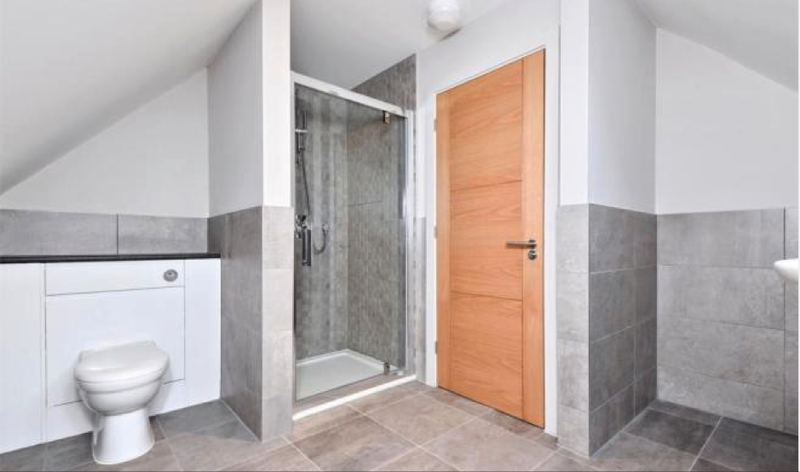 The apartments include all kitchen appliances, stone worktops, high specification bathrooms and en-suites, video entry phone and floor finishes throughout. 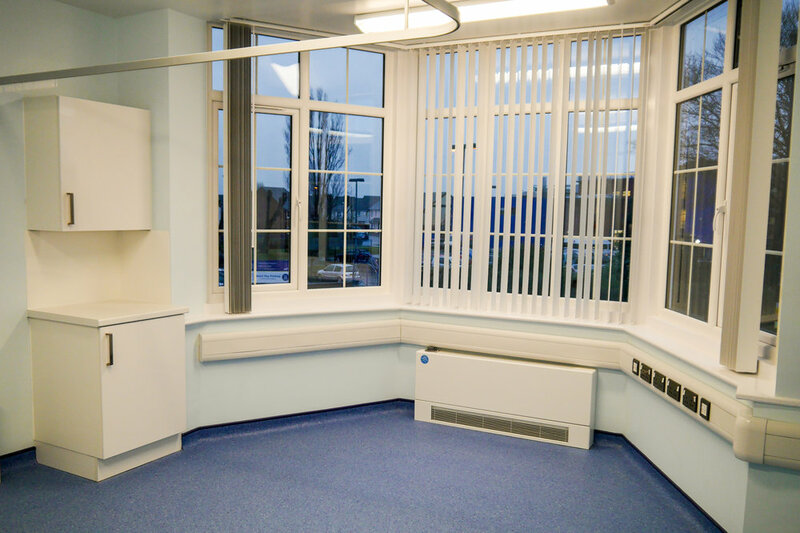 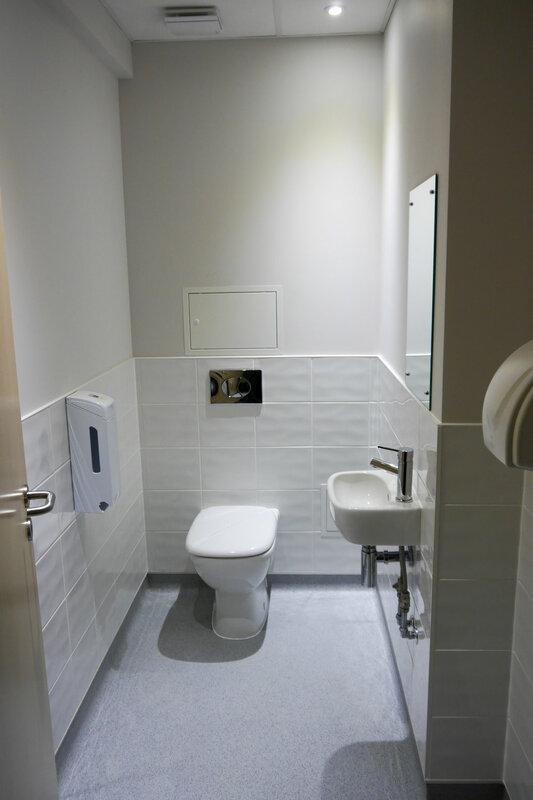 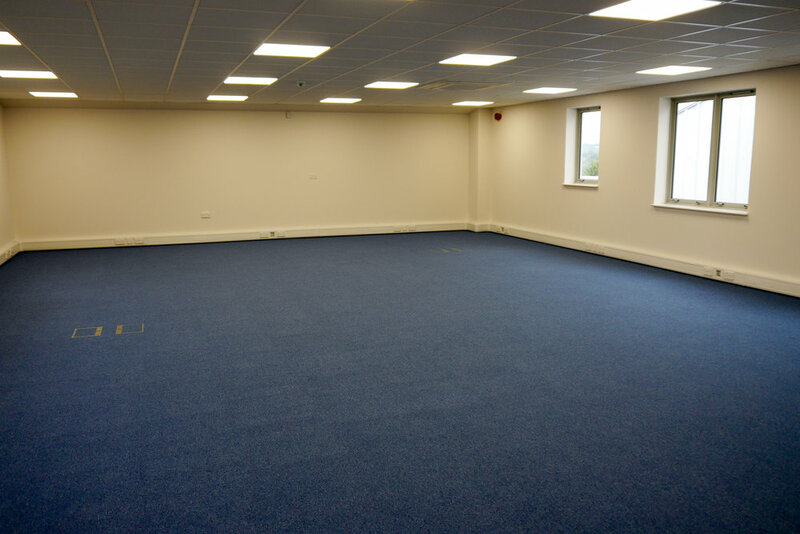 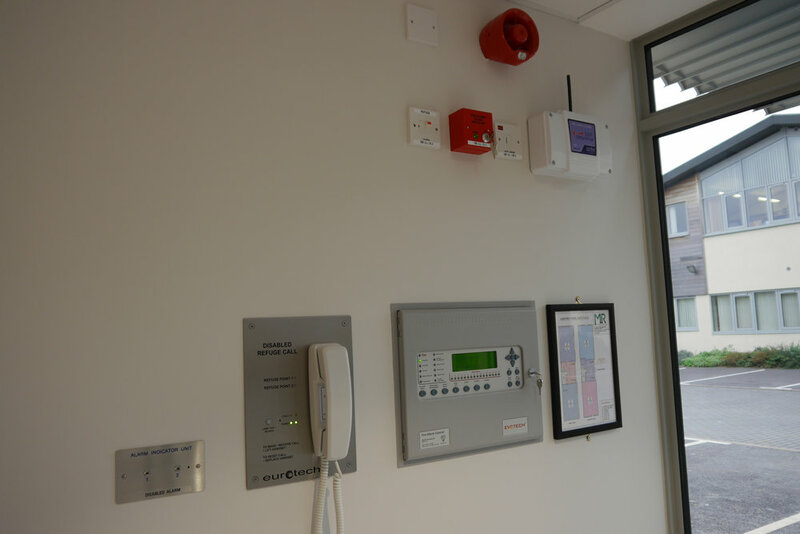 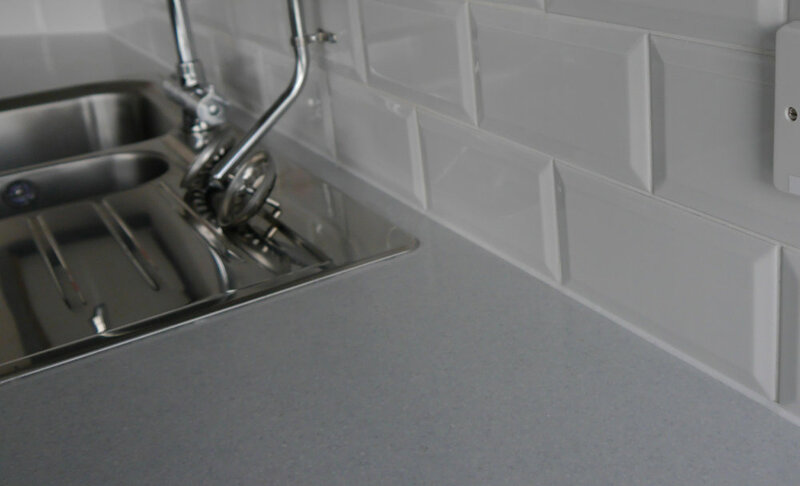 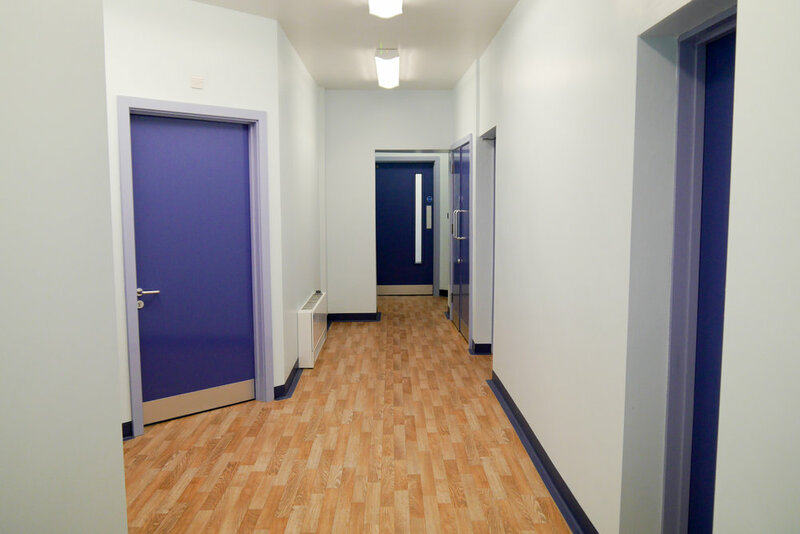 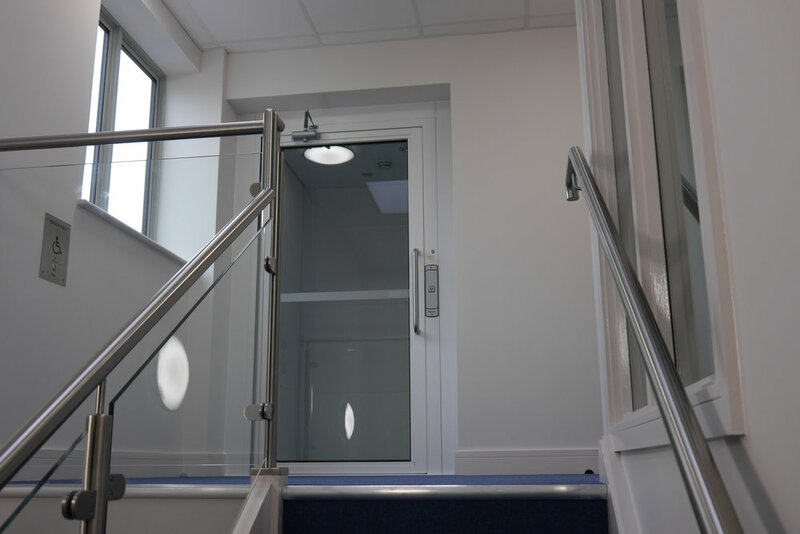 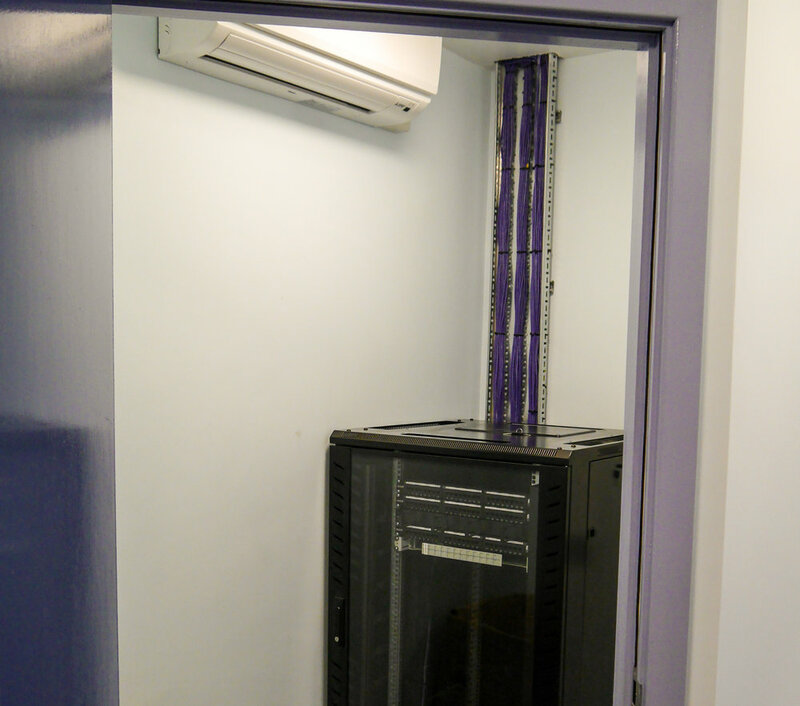 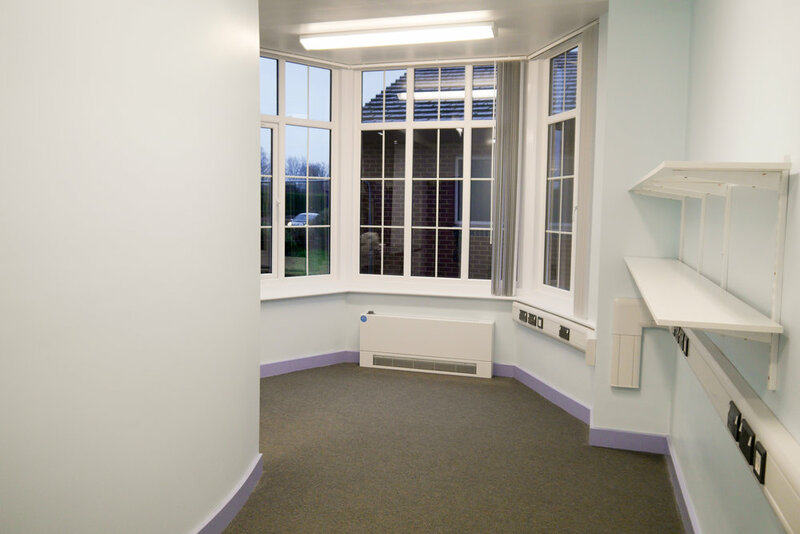 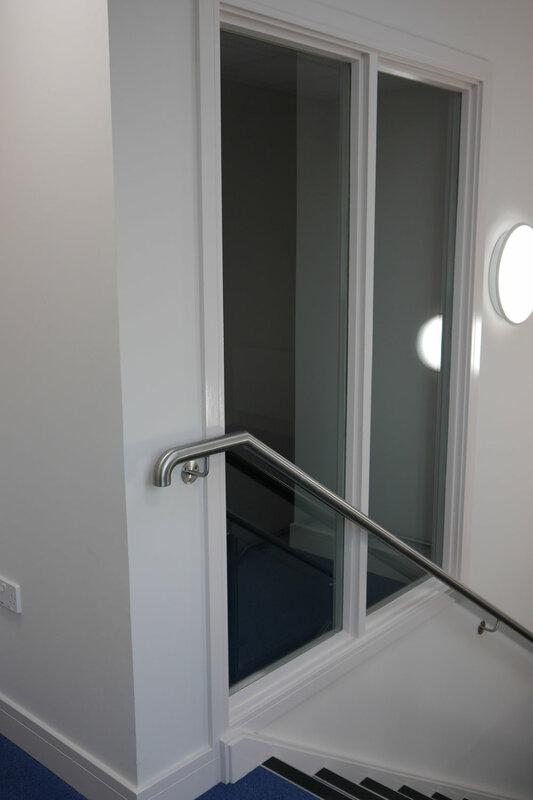 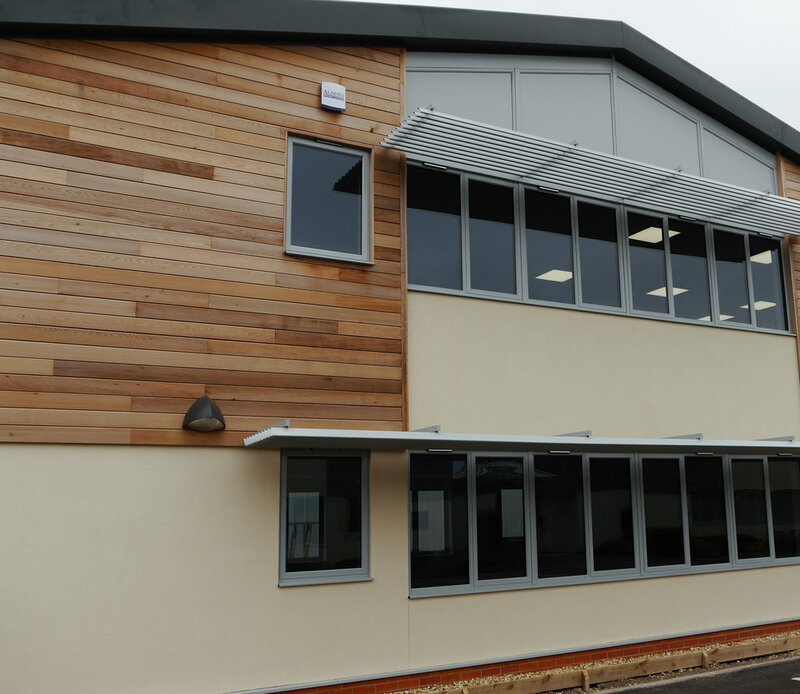 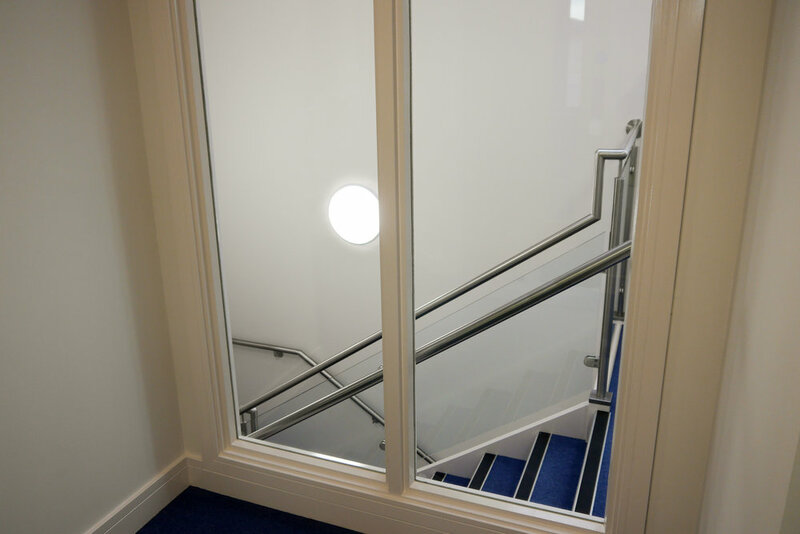 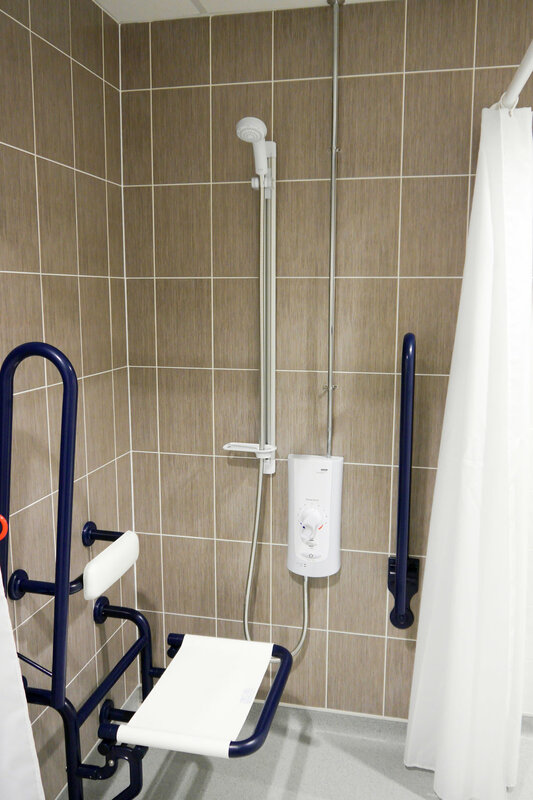 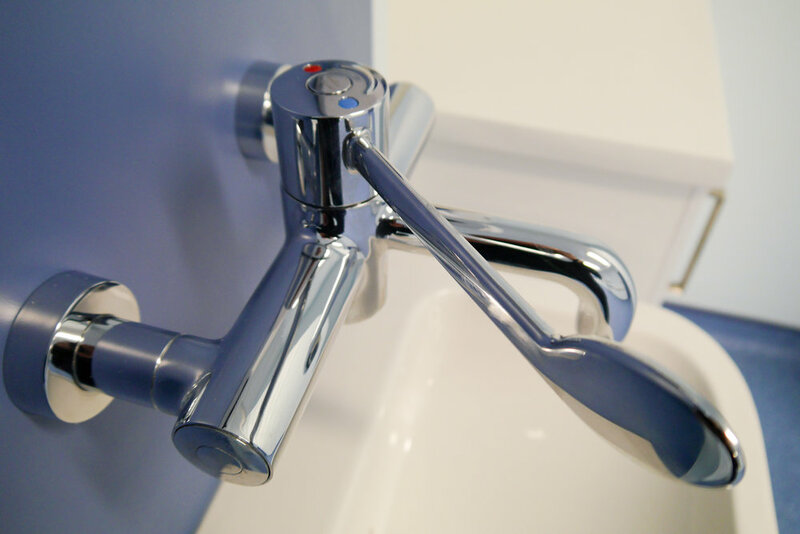 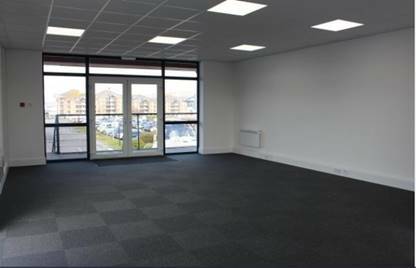 The works were completed with our dedicated design team, subcontractors and suppliers. 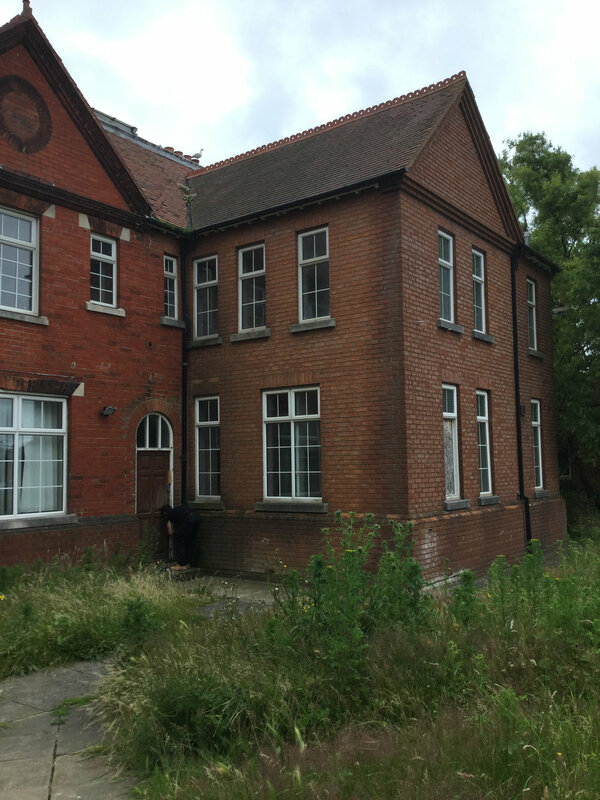 All have been sold and the new owners will be moving in shortly. 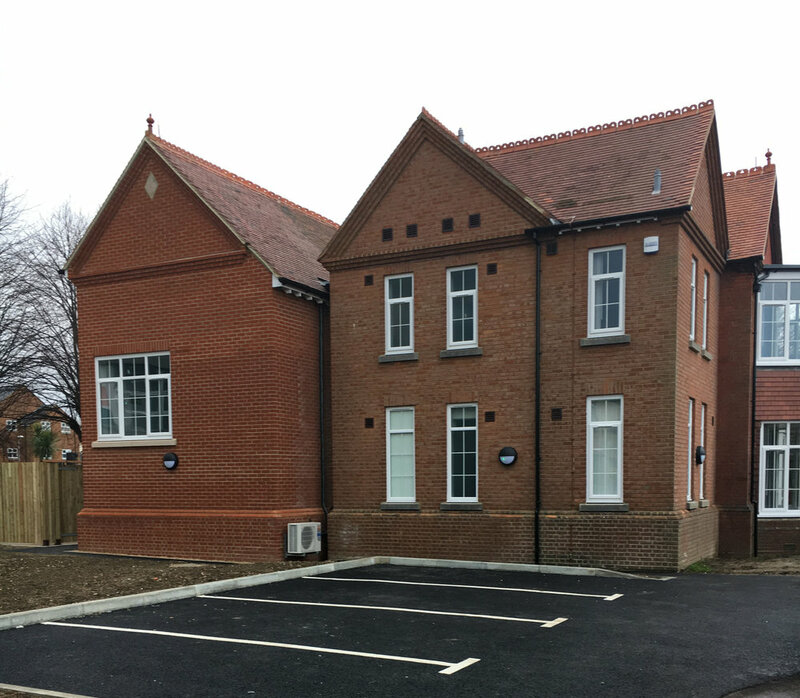 The completion of two duplexes to the front elevation will follow shortly.